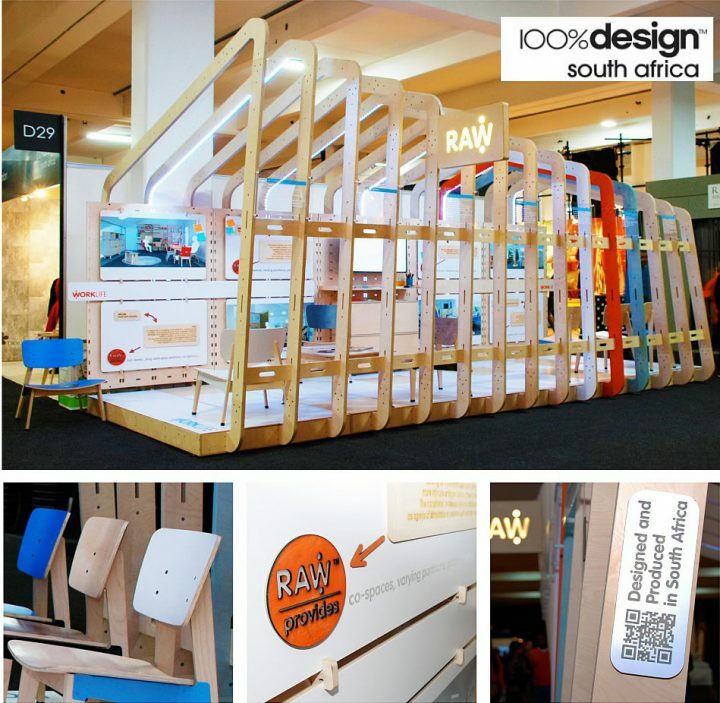 100% Design South Africa took place last weekend, at Gallagher Convention Centre, where local and international exhibitors showcased their innovative products and solutions to both the trade and public. 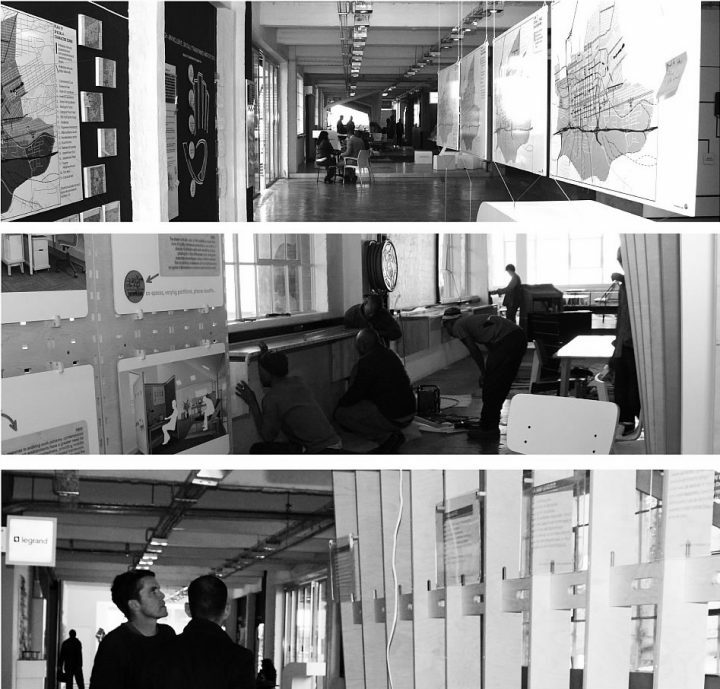 Raw Studios’ eye-catching 3m high Co-space, created more than ample interest. It enticed interesting, fresh and, sometimes down-right bizarre visitor engagement. The visually inspiring, Co-space with colourful splashes of thought-provoking elements, was designed and produced on-site, at their Pretoria studio workshop. Raw Studios’ proud team of experts pushed digital fabrication boundaries, creating a next-generation solution for the modern work life. It was made using CNC technology and environmentally responsible materials. Openplan layout with no work-life balance was part of the old rules. Employees no longer work solely at their workstations, but rather also at home, on the move, as well as in other spaces within the office environment itself. New rules require that employees have more flexibility and interconnectedness. There is an evident need for different types of spaces for the different types of vocations. Considered and connected employees become brand ambassadors and will be the greatest of assets if cared for and recognised by employers. These new rules in the work life environment were explored at Raw’s Co-space stand for all to observe and absorb. The message was clear. Raw Studios provides flexible, collaborative, workspace and Co-space solutions for the modern, digitally evolving business of tomorrow. Click here to read our previous blog about worklife. Spoiler alert…now for the good stuff. Get your popcorn ready. Raw Studios has decided that this is only the beginning for The BLIMP. Yes every BoxOffice-hit should have a star, followed by a roadshow of course. It’s official. The BLIMP has arrived in the Built Environment Centre (BEC) on Fox street, in the Maboneng Precinct, and will be residing there for a few weeks, before moving to the next exciting environment, the idea being to travel all around Gauteng! Raw Studios recently provided the BEC with office- and meeting-room furniture, as well as Hot-desking items -all tuned to motivating collaboration and connection in the ever-evolving worklife of tomorrow. This is the opportune platform to introduce these new product ranges, as well as a space in which to engage with fellow industry partners. This is a Raw Studios’ call-out to all those industry junkies, designers, forward-thinking business folk, executives and inspired students, to come and engage at the BLIMP. 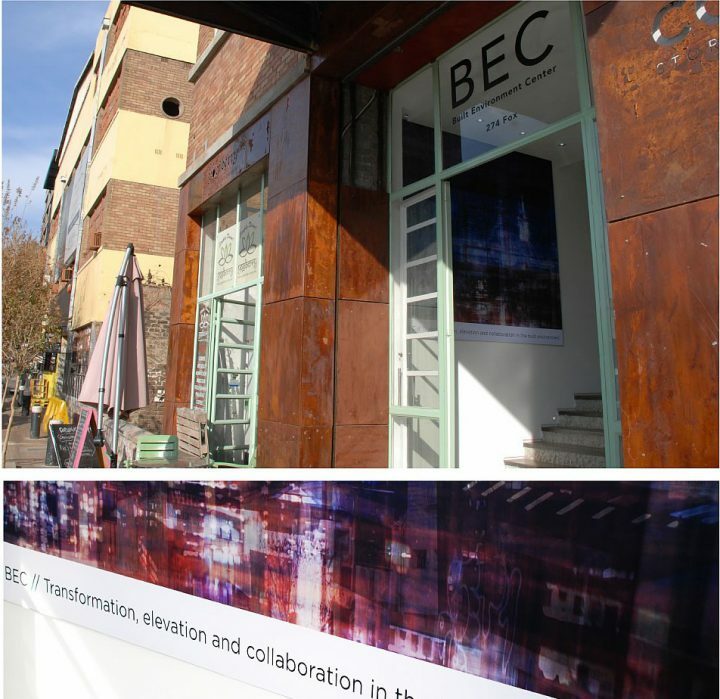 The official opening of the BEC will be announced soon. Naturally you are invited and who knows, maybe we’ll even throw in a VIP ticket, just because that’s how we roll. Until next time. Raw getting real.